The recovery within North America’s captive markets during the first four months of 2014 registered an increase of 19 percent over the same period in 2013. In South America, the wholesalers partners from Colombia and Brasil commit to additional financial resources for advertising. 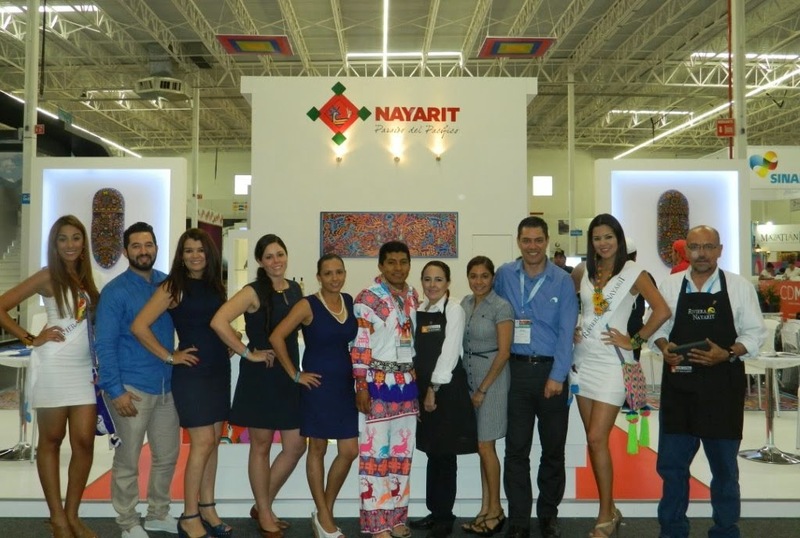 The 39th Edition of Mexico’s Tianguis Turístico, hosted in Quintana Roo from May 6th through 9th, showcased the consolidation of the Vallarta-Nayarit brand on an international level. The results are visible just one year after the launch of the “Vallarta-Nayarit, Live it to believe it” campaign, which is a joint effort between the governments of Nayarit and Jalisco under the aegis of the Federal Government through the Secretariat of Tourism (SECTUR) and the Mexico Tourism Board (MTB). The convention and visitors bureaus of the Riviera Nayarit and Puerto Vallarta held two dozen key business meetings to determine the current reach of the campaign, as well as its short, medium and long-term prospects. “Everyone we talked to during the meetings we held with operators from Canada and the United States confirmed there was a marked increase during the first four months of 2014 compared to 2013, not to mention they had a higher sales conversion for summer 2014 as opposed to 2013,” commented Marc Murphy, Managing Director for the Riviera Nayarit CVB. North America increased room nights in Puerto Vallarta and the Riviera Nayarit by 19 percent during the first four months of 2014 when compared to the same time frame in 2013. The 14 US wholesalers saw a 32 percent increase and the five Canadian wholesale agencies saw a 12 percent increase. Thanks to these results, North American airlines such as Delta Airlines and Alaska Airlines are considering extending flights and increasing frequencies to the destination starting in October of this year, which is why both destinations are consolidating marketing campaigns to insure this growth. As for Canada, there are talks of increasing airlift during the 2013-2014 winter season, including a summer 2013 Air Canada increase in frequency from Vancouver. At least one more frequency is expected on the part of each of the Canadian charters: Air Canada, Westjet, Sunwing and Air Transat. Details on the 2014 promotional and marketing strategies were finalized during meetings with the Colombian and Brazilian market representatives. A group of five wholesalers in Colombia and another group of eight wholesalers in Brazil signed an agreement to work together with the destinations. These agreements include commitments such as an advertising investment by each operator equivalent to ten thousand US dollars; support and collaboration for training, seminars and FAM trips; the development of the product with different hotels in the region and updates on their social media and web sites with correct information about Puerto Vallarta and the Riviera Nayarit.